Earlier this week, I had the pleasure of speaking with Vivienne Schiffer, author of Camp Nine, about her inspiration for the book (my review). Today, she graciously offered to share with you the story and share a photo of the real cemetery that inspired her journey into the internment camp for Japanese-Americans during World War II. Please give her a warm welcome. Camp Nine was inspired by my personal experience growing up in Rohwer, Ark., a town that was so small it was the perfect spot to hide nearly ten thousand Americans of Japanese ancestry where virtually no one would find them. There, my grandfather, Joe Gould, Sr., a wealthy landowner, sold hundreds of acres to the federal government to build what was euphemistically called the Rohwer Relocation Center. The United States government maintained that the Japanese Americans of California, Oregon and Washington were being simply “relocated” for their own protection, and for the protection of the war effort in sensitive military areas. In fact, it was pure racism. Powerful business lobbies on the West Coast didn’t want the Japanese Americans there. They’d been trying to exclude them for decades. Finally, they had the perfect excuse, and the federal government was the perfect ally. By the time I was born fifteen years later, not only was the camp gone, even memory of it seemed to have faded. But how odd even that was. In 1942, the population of tiny Rohwer, Ark., swelled almost one hundred fold, from around one hundred people, most of them poor white and African American tenant farmers, to nearly ten thousand people, well educated city dwellers and prosperous farmers from somewhere far away. When the war ended, Rohwer abruptly shrank back to a population of one hundred, and fifteen years after the fact, not a soul in town mentioned that anything had ever happened. The only signs available to a small child were a brown government sign pointing the way over a dirt bank supporting railroad tracks, an incinerator smokestack, a tar-paper barracks formerly used as a hospital, and the ghost, the thing of beauty, the specter that crouched under the trees and hid in the cotton field: the haunting and lovely cemetery. That there were camps in the Deep South is news to even the well-informed. Japanese Americans from the camps did interact with their neighbors, and there were culture clashes. Unlike their counterparts in the western states, the Arkansans had never had any personal interaction with anyone of Asian ancestry. Their knowledge was limited to stereotypes and cartoons. Fear and resentment were real and were amplified by gossip. But the prisoners were Americans first. The only ethnic group required to prove their loyalty to the United States, men from the Rohwer Camp were a part of the “Go for Broke” team, the 442nd Regimental Combat Unit, the most highly decorated combat unit of its size in American military history. The 442nd famously liberated Rome (although they were stopped at the gates so that newsreels could record only white soldiers entering the city) and rescued the Lost Battalion of Texans in one of the most celebrated battles of the European theatre. Camp Nine honors the Japanese Americans who endured their ordeal with grace and dignity, as well as those Caucasian Americans who protested their mistreatment and sought to make their lives better. Thanks, Vivienne, for sharing your inspiration with us. If you’re interested in reading about how WWII impacted U.S. communities, especially after the government began establishing internment camps for Japanese-Americans, you should check out Camp Nine. 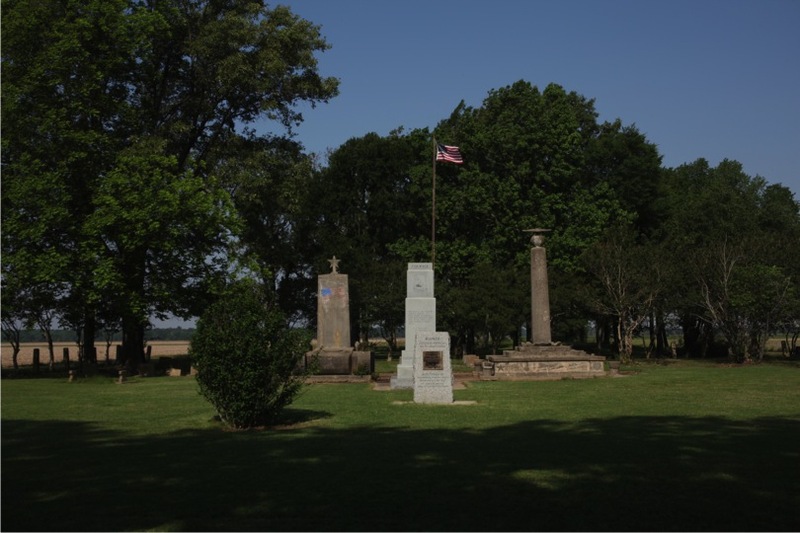 Camp Nine by Vivienne Schiffer is told from the point of view of Cecilia “Chess” Morton as she looks back on her time in Desha County, Arkansas, during the late 1940s when Camp Nine was erected near her childhood home. As a child, she grew up without a father, but she had a mother who doted on her, though she often butts heads with Chess’ grandfather, who owned half, if not more, of the town, Rook. Her grandfather controlled much of Chess’ land inheritance and sold a good portion of land, which he deemed useless, to the government for Camp Nine, which he was told would hold German prisoners of war captured during WWII, which was in full swing at the time the story takes place. Chess is a curious child, but often her inquisitiveness gets shut down by the adults around her who dismiss her desire to know about her family, particularly the feud between her mother and Mr. Ryfle, who tends the grandfather’s land and often makes empty promises about helping Chess’ mother plant her land. There is a great deal of mystery in the early stages of the novel, including her mother’s past in California and why Camp Nine is being used to house Japanese Americans. Chess also laments the unspoken code of behavior expected of Blacks, like Ruby Jean who helped raise Chess’ mother. Schiffer crafts a narrative that stands apart from other accounts of WWII as it seeks to inject emotion into a situation that many Americans were removed from by hundreds of miles or more. WWII was fought on distant shores, but its effects were devastating to Americans who soon became objects of suspicion. However, this story is not just about the internment of Japanese Americans, but of the impact their internment had on the small towns in which their camps were built — kicking up racism and exacerbating classism. In many ways, Schiffer has developed the setting into an additional character given that its bisected into two halves by the railroad tracks, with the enemy on one side and the townspeople on the other. Chess’ mother is more progressive than other residents of Rook, but her ideas and actions have farther reaching consequences than she expects. Schiffer’s characters are engaging and real, and set against the backdrop of this tumultuous time, a young girl is growing into adulthood and realizing that the world is vastly more complicated than she expected. Camp Nine is captivating and raises questions about perception: What we think of ourselves when faced with family secrets? How we’d react in the face of injustice? I’d consider this similar to Tallgrass by Sandra Dallas. Vivienne Schiffer grew up in the Arkansas Delta town of Rohwer, site of the Rohwer Relocation Center, on which Camp Nine is based. She is an attorney and has practiced law for twenty-eight years in Houston, where she lives with her husband Paul and their family. Schiffer is currently at work on her second novel. To visit the other stops on the TLC Book Tour, please click the icon at the right. This is my 68th book for the 2011 New Authors Reading Challenge. First, I would like to congratulate (Dianne) on winning Lost Edens by Jamie Patterson from the last Mailbox Monday giveaway. ***Also, stay tuned at Noon for the Stephen King’s IT Read-a-Long discussion post. I hope in addition to leaving your post links in Mr. Linky that you’ll peek around Savvy Verse & Wit. Next Month, please visit the Mailbox Monday tour blog for the November MMs. 1. 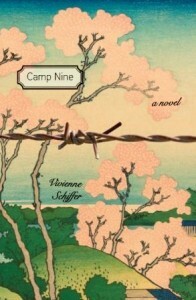 Camp Nine by Vivienne Schiffer for TLC Book Tour in November. The cover is just gorgeous. 2. Out of Oz by Gregory Maguire from HarperCollins. Please leave your link below to your mailbox. Next Month, please visit the Mailbox Monday tour blog for the November MMs. Now, for the giveaway for the week. I’m offering my gently used review copy of My Soul to Take by Tananarive Due (my review) to one lucky winner anywhere in the world. Just leave a comment on this post. Deadline is Nov. 5, 2011, at 11:59PM EST.